The parents of two children killed in the 2012 Sandy Hook Elementary School shooting have sued Alex Jones, alleging defamation. The two lawsuits filed Monday accuse Jones — a noted conspiracy theorist who has claimed the Sandy Hook Elementary school shooting was a hoax — of peddling lies that have resulted in death threats, HuffPost reported. 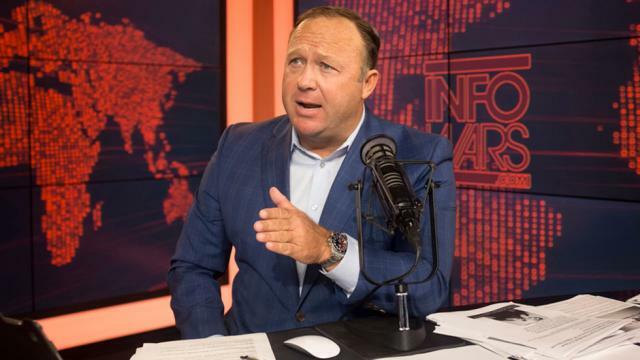 The lawsuits, which were both filed in Austin, Texas, are seeking more than $1 million in damages from Jones, Infowars and Free Speech Systems LLC. The lawsuits were brought by Neil Heslin, the father of a six-year-old boy killed in the massacre, and Leonard Pozner and Veronique De La Rosa, who also lost their child in the Sandy Hook shooting. “Even after these folks had to experience this trauma, for the next five years they were tormented by Alex Jones with vicious lies about them,” Mark Bankston, the lawyer handling the cases for the parents, told HuffPost. Bankston said he thinks it is a “surreal experience” as a father. “Anyone, parents or not, who spends 15 minutes talking to one of these parents will understand immediately how vile this lie was, and how genuine their pain is,” he told the publication. There are at least two other cases that accuse Jones of defamation, according to the report. The 2012 Sandy Hook shooting left more than 20 people dead. Gun control has become a central issue in the country recently since a gunman opened fire at a high school in Parkland, Fla.
Students who survived the shooting have been rallying lawmakers and demanding new gun laws to prevent future shootings. Parkland students have also been at the center of multiple conspiracy theories since becoming vocal gun control advocates.